The Melbourne Cat Lovers Show is the ideal platform to cost-effectively reach thousands of passionate, high-spending Cat owners face-to-face across 2 action packed days! Click here to find out more. The 2nd Brisbane Dog Lovers Show was the ideal platform to cost-effectively reach over 12,000 passionate, high-spending Dog owners face-to-face accross 2 action packed days! The 2018 Brisbane Dog Lovers Show was a huge success and we will be looking to return in 2020. In the mean time join us next year in Melbourne and Sydney! Please click here to view the Wrap Media Release 2018 Brisbane Show. The Brisbane Dog Lovers Show was proudly presented by one of Australia’s leading event organisers assuring a professionally run event coupled with a hard-hitting and extensive advertising campaign that attracted thousands of passionate dog owners and lovers alike. We would like to thank all exhibitors who supported us in our 2018 Brisbane Dog Lovers Show. We are very conscious of the investment and resources it requires from exhibitors to take part in our shows, that marketing budgets are limited and Brisbane is a smaller market than Melbourne and Sydney. 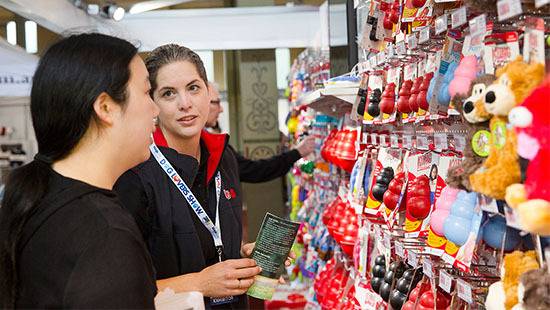 So for these main reasons, in addition to the Brisbane Showgrounds presenting a number of challenges, we have decided not to return next year and will only stage a 2020 event in Queensland if we receive very strong support from the pet sector.